All too often, I write New Years gaming resolutions, and then I pay very little attention to them until the next December when it's time to start working on the next set. If I've failed to meet any of the goals, it's too late at that point to make any significant change of course. This year I'll be reflecting several times during the year on my progress and sharing my thoughts. The more I share publicly my progress and shortcomings, the more likely it is that I'll hold myself accountable to completing my goals. Start a game night tradition with my family. Publish one project per quarter on DriveThruRPG or a similar site. Research the process to make Outsyder Gaming an LLC, and make an intelligent decision. 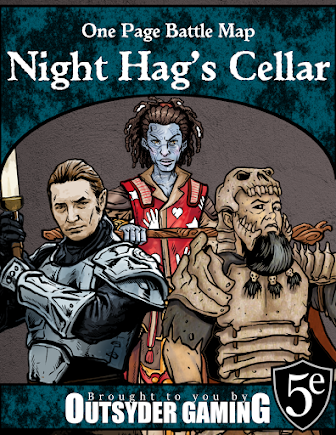 Run a Kickstarter for an RPG product. We do have game nights, but they are sporadic. So far this year, we have played Legendary several evenings (always awesome), and we learned how to play Francis Drake (good, but I wouldn't call it awesome with only two players). What we need is more consistency... an established day of the week/month that is set aside for games. The first quarter has come and gone, and I haven't published my next product yet. Brimburg is about 80% complete, but I've been overloaded at work, and in my free time I've pursued less creative interests. I'm also realizing how difficult it is to write for RPGs when I'm not playing RPGs. The last campaign I joined fell apart, I haven't found a suitable replacement, and I've been struggling to write RPG content in the interim. I'm still plugging along, but the pace has been slow. I have done a little research on LLCs, and I do think this is the direction I want to move. However, my initial research is showing that it will cost me around $200 to start out, and around $70 per year just in licensing fees and such. As a side project that currently nets me less than $100 per year, taking this step will require a shift in focus. I need to put more emphasis on turning a profit if I'm going to make that kind of financial investment. Up to this point, I've focused on the fun, and if I happen to earn a few dollars here and there, I'm happy for it... but if I pay $70 in licensing fees but only make $50, I might as well flush $20 down the toilet. Creating a Kickstarter is one of my goals that was planned for mid-summer anyway, so I'm not overly concerned that I haven't made much progress here. I do have a better grasp of what direction I want to go with the product, though, so that's a start. Smelly Boot Shenanigans was a personal hurdle for me, and I made it, even if the product itself may not be as high-quality as I would have liked. 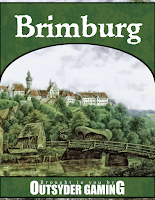 Brimburg is shaping up to be better, and I'm excited for the next installment once I finish. More updates will be coming soon. So that's where we stand, folks. Not a ton of progress at this point, but still moving in the right direction, at least.